The federal income deadline is closing in fast, but you still have time to make a contribution to your tax-deferred retirement account and have it count on your 2016 return. This year, there's an added bonus many taxpayers can receive. It's called the Retirement Savings Contributions Credit. Notice that it's a tax credit, not a simple deduction. A deduction is subtracted from your gross income. A credit is subtracted from the tax that you owe. Huge difference. "Eligible taxpayers may be able to reduce their federal income tax by claiming the Saver's Credit, making it an important incentive to save for retirement in a 401(k), 403(b), IRA, or new myRA," said Catherine Collinson, president of the Transamerica Center for Retirement Studies. "Unfortunately, millions of Americans may be missing out on the Saver's Credit simply because they don't know that it exists." The tax credit is applied to the first $2,000 of voluntary contributions an eligible worker makes to any eligible retirement funds, which can include a 401(k) at work or a simple IRA or even the new myRA. A single taxpayer can get a maximum tax credit of $1,000 while it's $2,000 for married couples. "The Saver's Credit is a tax credit above and beyond the advantage of tax-deferred savings," said Collinson. "Because this double benefit sounds too good to be true, many eligible savers may be actually confusing the two incentives." 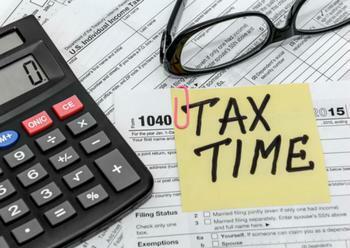 Only taxpayers whose Adjusted Gross Income (AGI) is below a certain level will qualify. For singles, the AGI ceiling is $30,750. It's $61,500 for those married and filing jointly. You also have to file with the correct form. You can't use Form 1040EZ, also called "the short form." It has to be Form 1040, Form 1040A, or Form 1040NR. With that form you also need to fill out Form 8880. You can figure out exactly how much of a credit you might receive by filling out Form 8880. You can download it here.